With the start of the new year, many tutoring businesses increase their service list price slightly to adjust for higher costs and inflation in the new year. 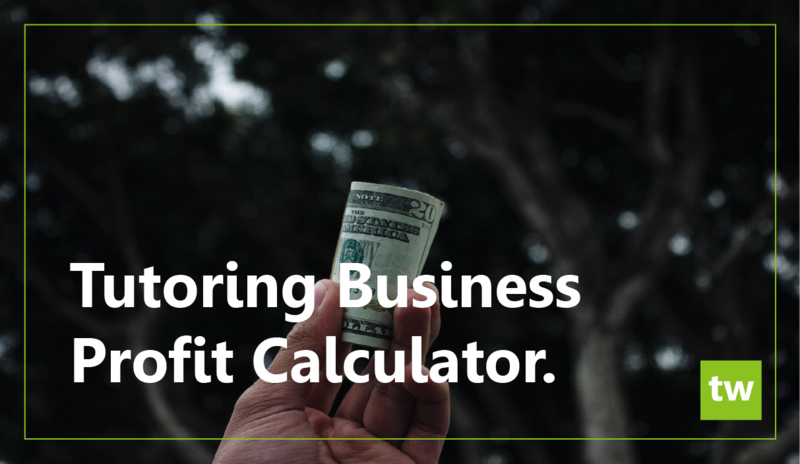 If you are thinking of increasing your prices in 2017, use our Tutoring Business Profit Calculator to quickly see the impact on your bottom line and to calculate the percentage change that works best for your and your customers. This tool allows you to input your current “Profit Drivers” such as the number of student’s per lesson, lesson costs, teacher earnings and more. After inputting these drivers, you will be able to see your monthly revenue, gross and net profit. The tool, then allows you to input the projected profit driver values for 2017 into a separate column to give you a clear picture of how these changes will affect your bottom line. You can then make adjustments to each line and find the perfect balance for your 2017 service list price increase. It is important to remember that updating your service list price does not affect the lessons that have already been scheduled. In the Teachworks software, lesson cost is set at the time a lesson is scheduled, so if you decide to update your service list today only the lessons scheduled from today onward will reflect the new pricing. If you need to make the new pricing available to lessons you have already scheduled, visit our knowledge base article Applying New Cost To Existing Lessons for more information.